On a recent Saturday morning, Jean Yawkey Place was covered in balloons and Valentine’s Day decorations, while patients and staff alike sang along to hits by Beyonce and Whitney Houston. 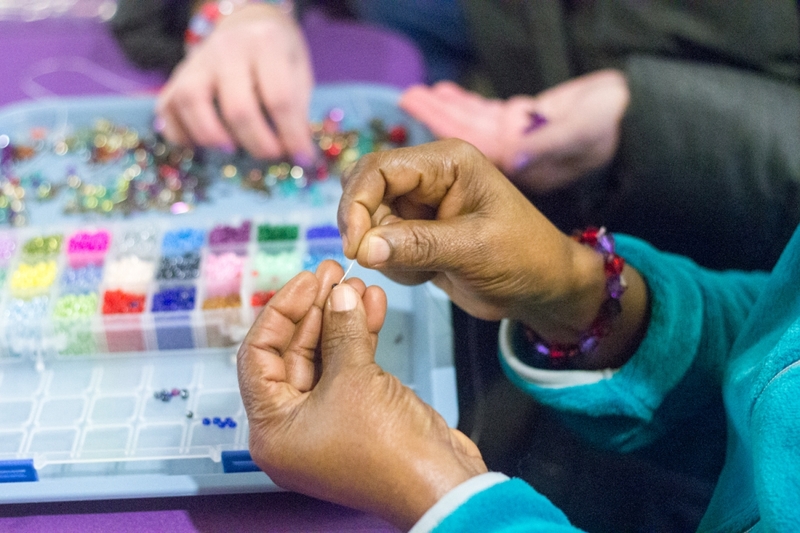 Throughout the lobby of BHCHP’s home base in Boston’s South End, women made bracelets or painted nails, or just had a coffee to rest a minute, in from the cold and the chaos of life on the streets. 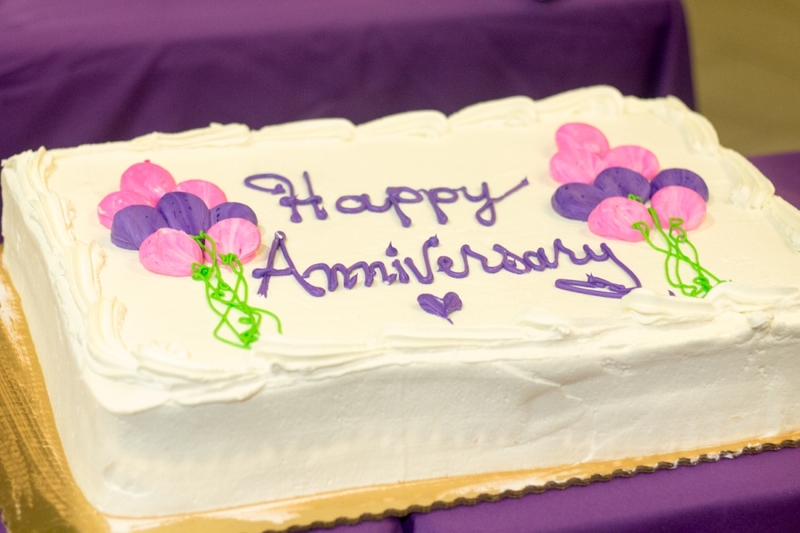 The women were celebrating the first anniversary of BHCHP’s HER Saturday, a weekly health clinic exclusively for women, that stands for Health, Empowerment, Resources. We started HER Saturday because of a need in the community – to provide a safe, inviting space for women experiencing homelessness where they could consistently come to connect to care and build trusting relationships. We have a holistic approach to care, offering medical walk-in, preventive screenings, case management, and behavioral health services, while also recognizing the importance of a pampering foot soak or face mask, and getting the blood flowing with activities like Zumba and Yoga. Between 50 and 80 women fill our lobby each week, and the level of interest has continued to increase over the past year. We see an average of 10 patients for medical appointments in each 4 hour clinic session, 1-3 patients for behavioral health services, and about 12 women engage in case management services. Each week organizations from the Boston area attend to share resources with the attendees. The women of HER Saturday have grown to deeply trust our staff and volunteers, allowing us to share in their greatest joys and their most difficult struggles. Because of this trusting relationship, many of the women have found this to be a safe place to talk about the trauma in their lives including physical and sexual assault. This women-only space has led to safe sharing of experience with each other in impromptu discussions around the nail table and with staff in private one-on-one conversations. HER Saturday has proven to be a place to express many of the common concerns shared by this diverse group of women. As staff and volunteers, we are honored to be part of this close-knit community that has proven to be so much more than a weekly clinic. Trying to find a way to express what this special gathering is has been challenging. It is part health clinic, part health fair, part club and part home. One woman told us that in the 8 months she had spent in Boston so far, HER Saturday has been her best experience. Others note that it feels like family. The clinic is a place of hope and gratitude, and it truly lives up to its name – providing Health-Empowerment-Resources. Zoe Burns and Melinda Thomas run HER Saturday at BHCHP.